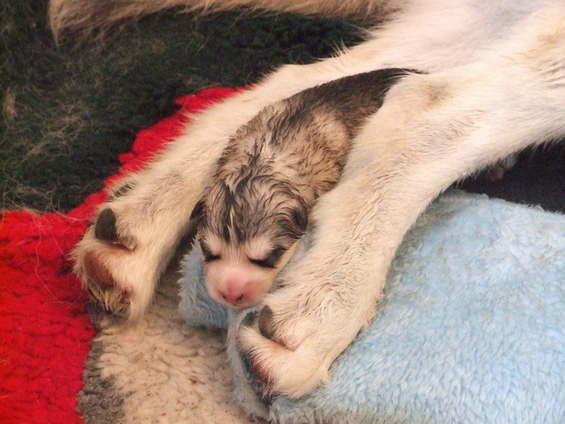 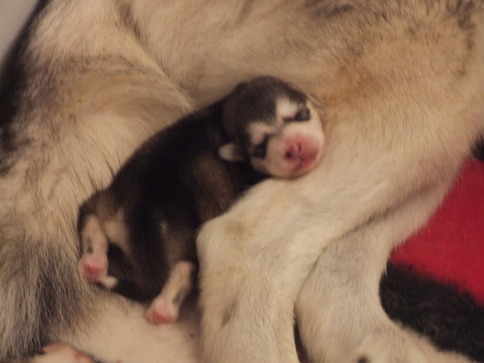 This is the first boy born at a few hours old. 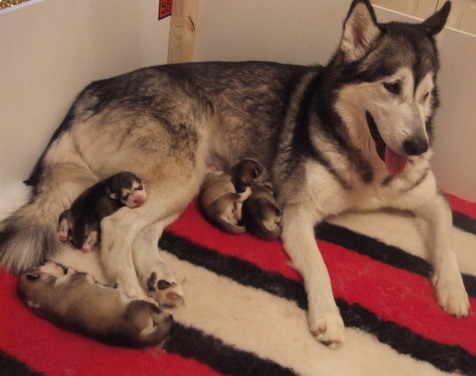 Pups below 4 hours old . 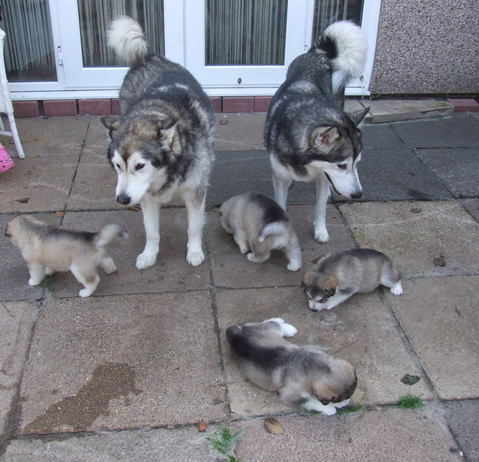 Cuba and her mum China with the babies at 4 weeks old. 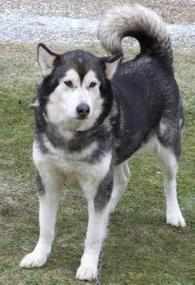 To see more photos of Razor and Cuba and show results go to the main page and click on Razor or Cuba's name. 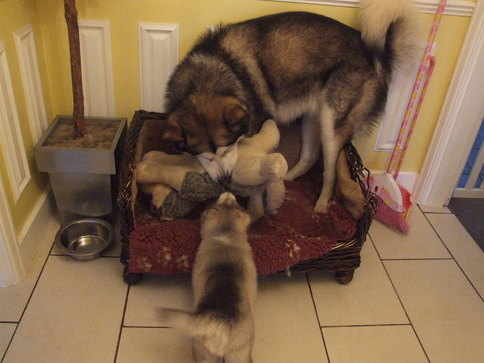 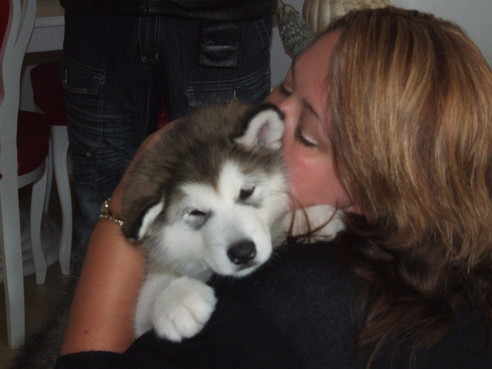 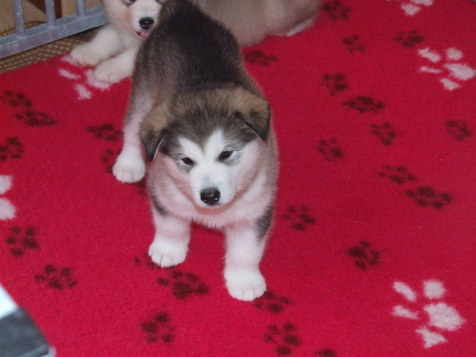 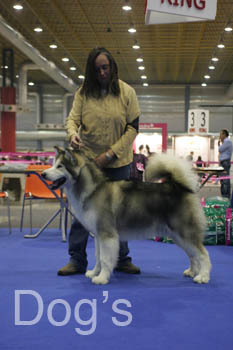 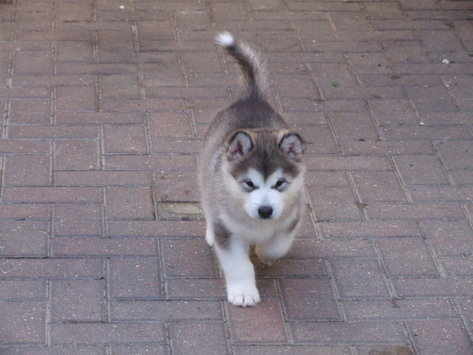 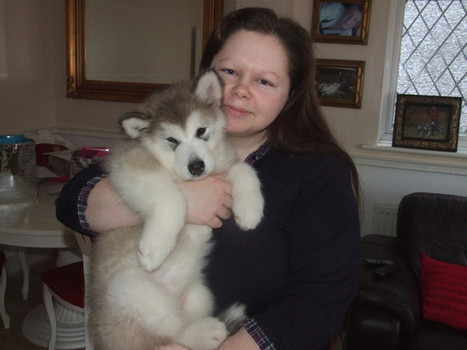 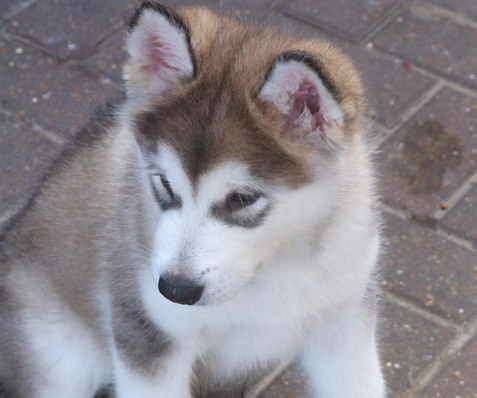 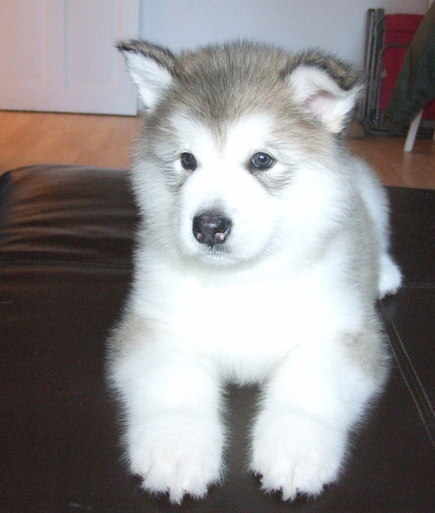 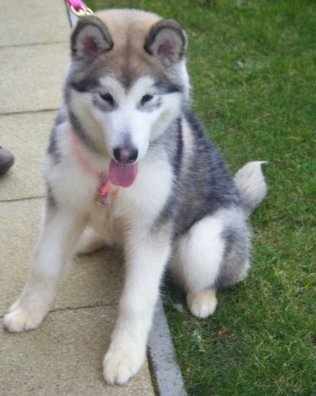 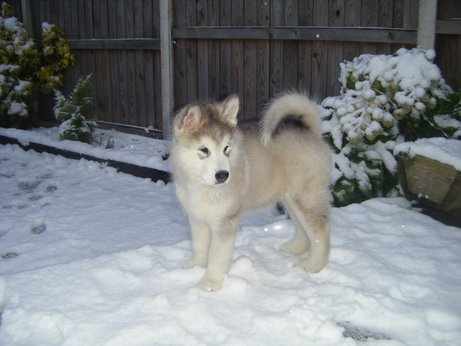 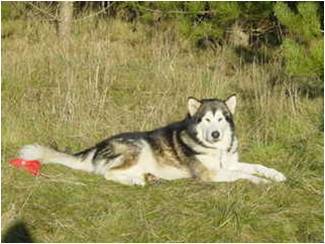 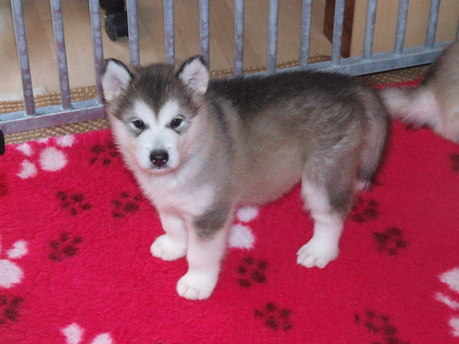 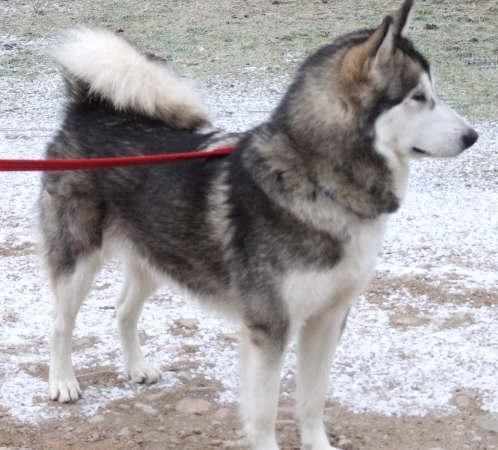 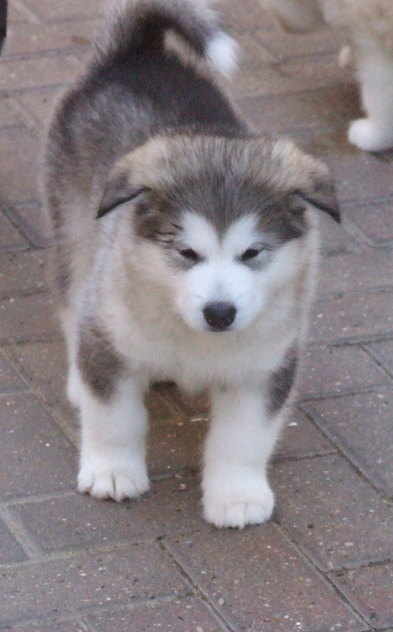 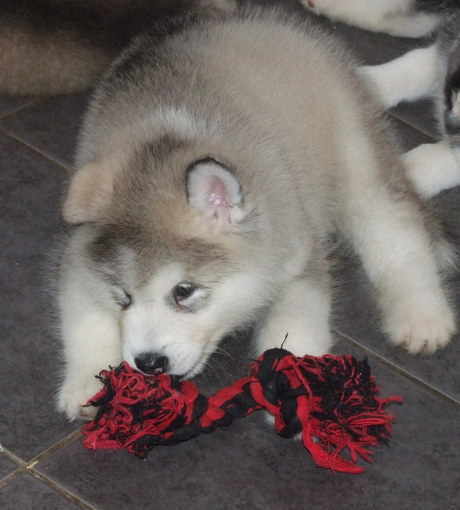 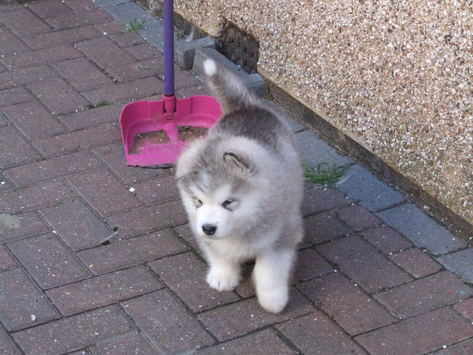 Cuba is one of our fastest malamutes, and is the daughter of the first uk champion . 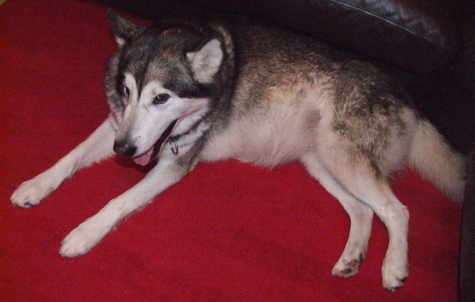 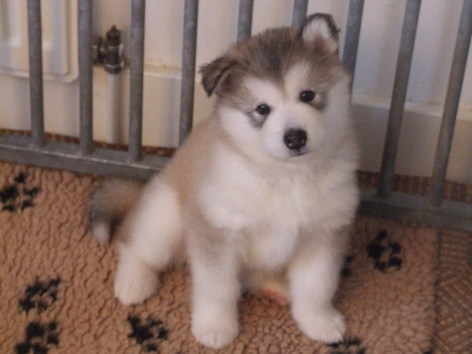 Cuba will keep up with any sibe, she has a wonderful temperment, moves like a dream in the show ring, has lovely dark eyes, and Just wants to please everyone. 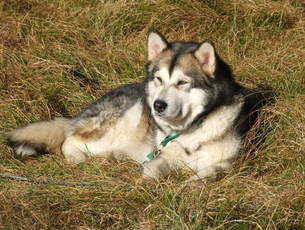 Razor is a gentle giant who thinks he is still 8 weeks old, he has done very well in the show ring, and loves to race. 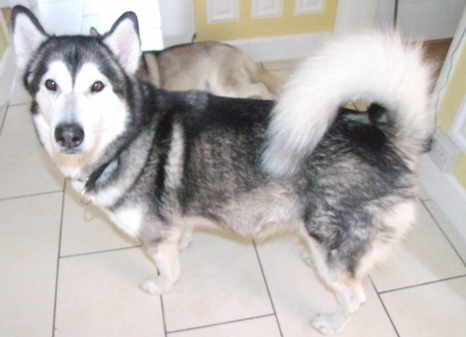 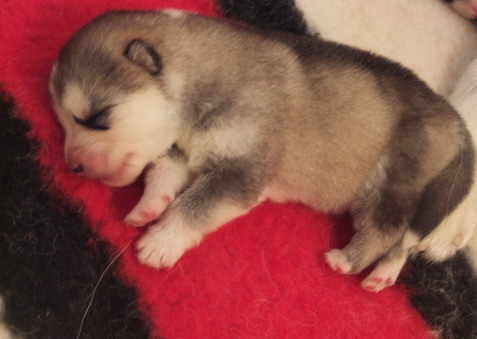 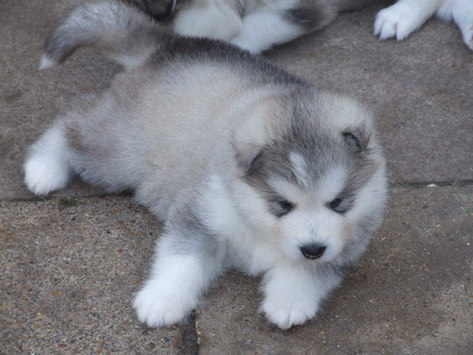 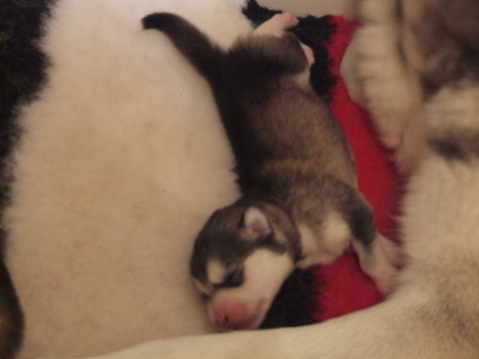 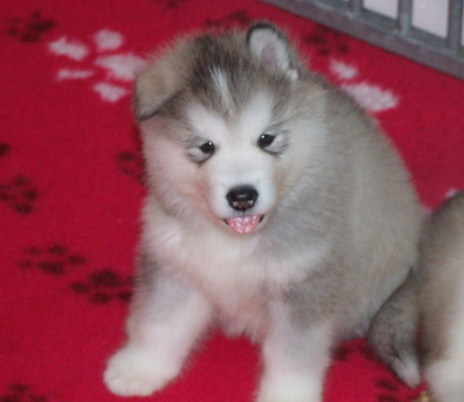 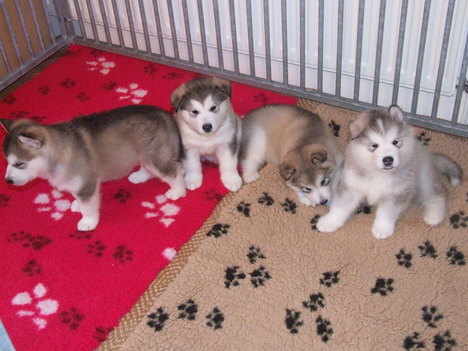 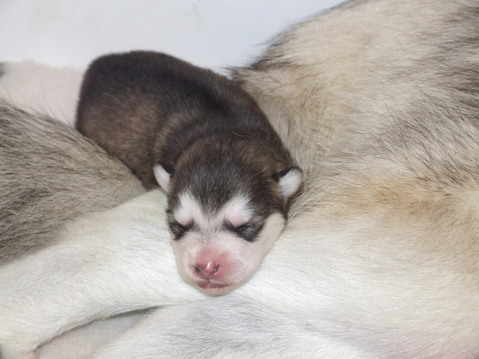 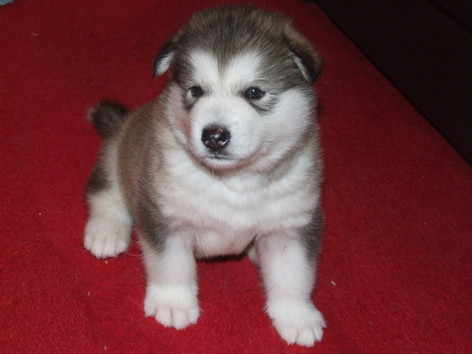 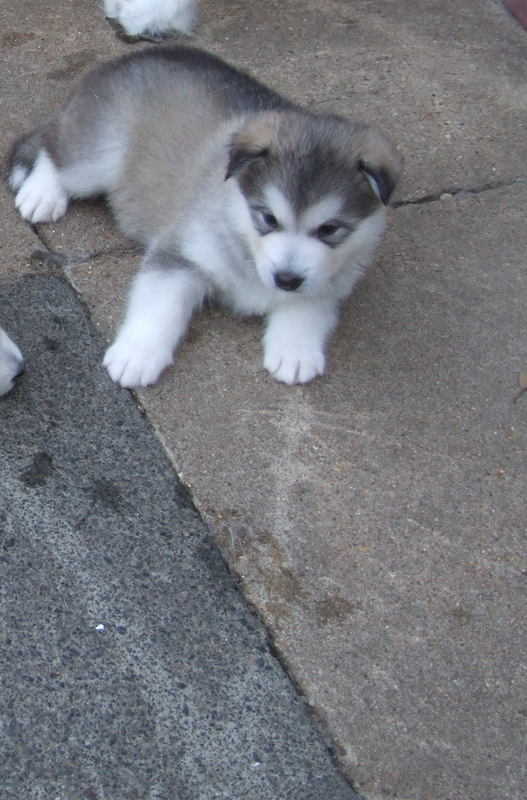 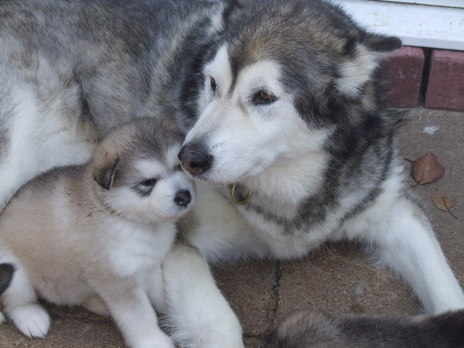 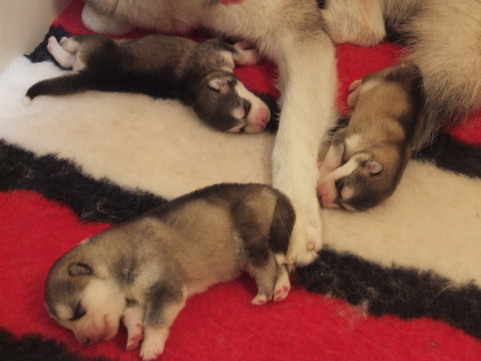 We are hoping by putting these two dogs together we will produce big bone harsh coat dark eyes and all the attributes a malamute should have. 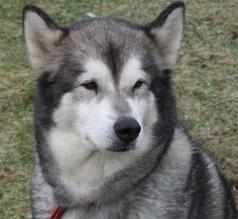 To enquire about going onto our waiting list please email us at polarpaw@hotmail.co.uk. 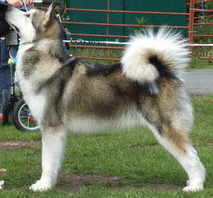 07970-385534.